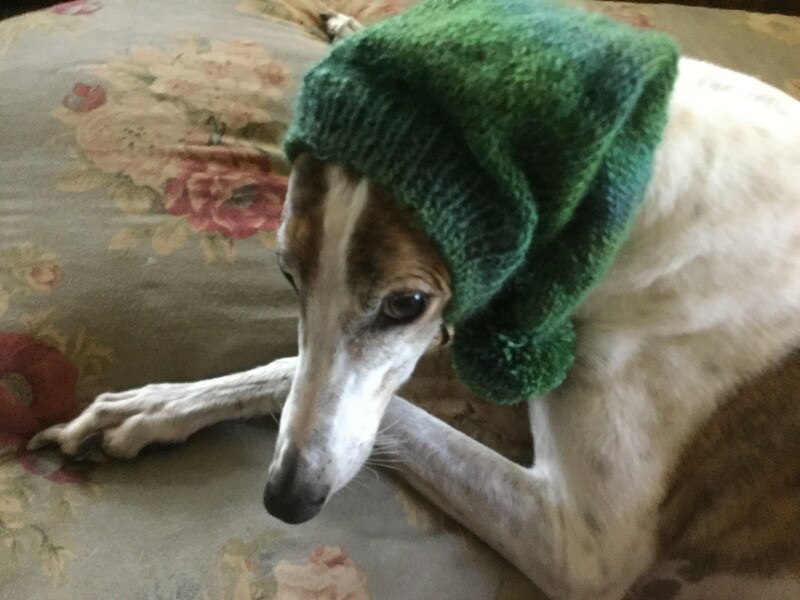 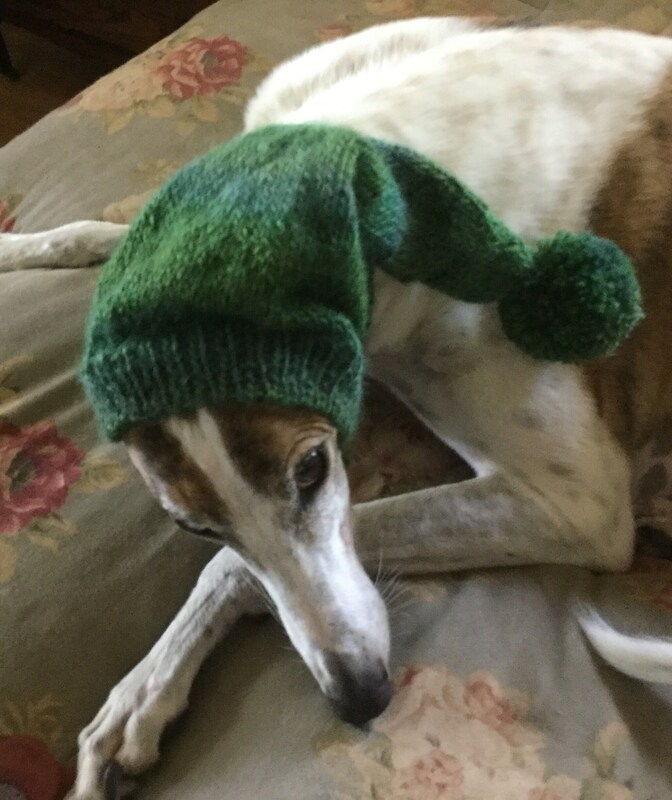 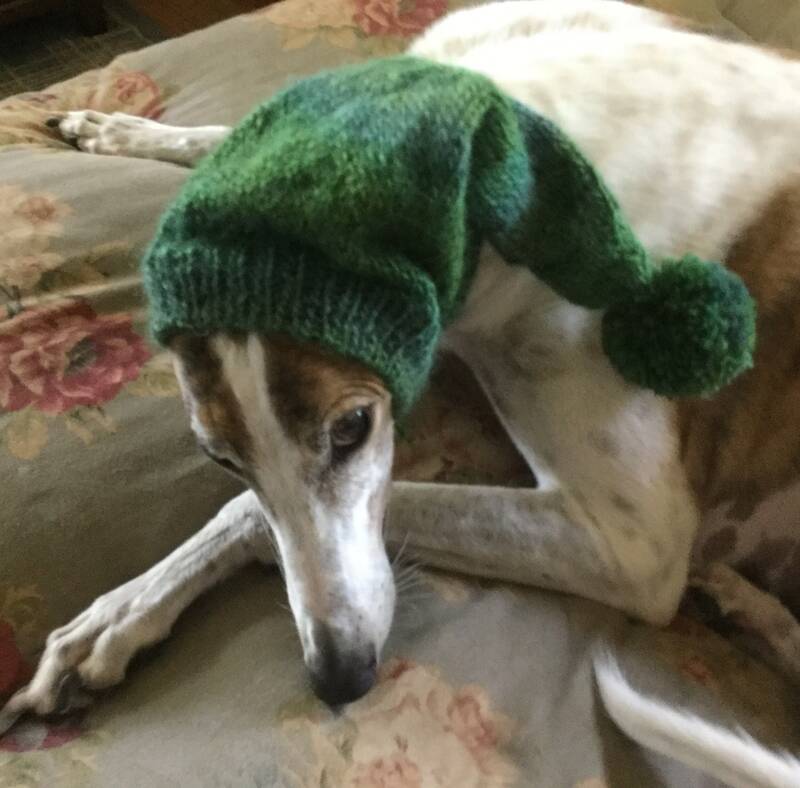 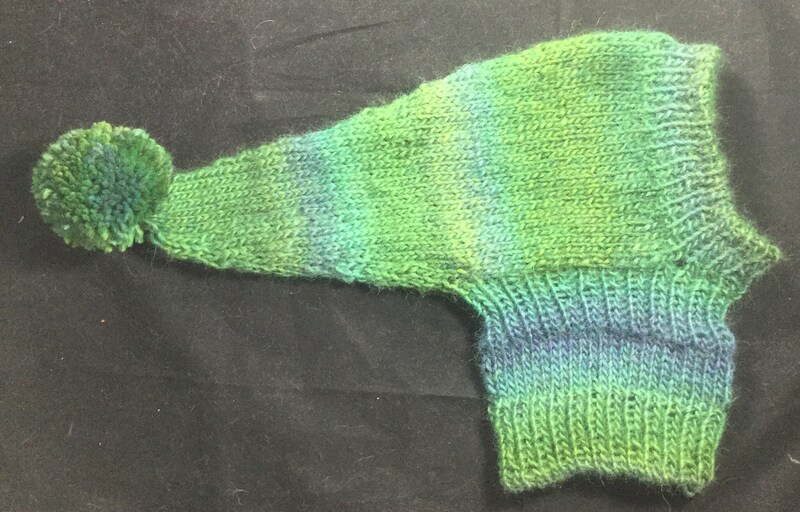 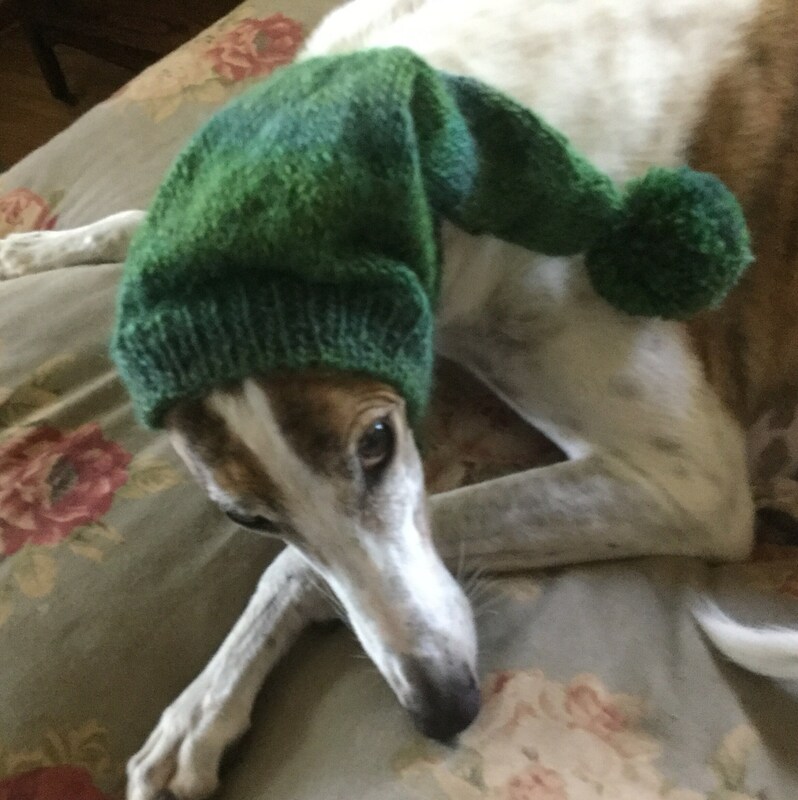 Your hound will look adorable and stay warm in this beautiful knitted hat with snood and long tail with Pom Pom made in a washable wool and acrylic blend yarn. 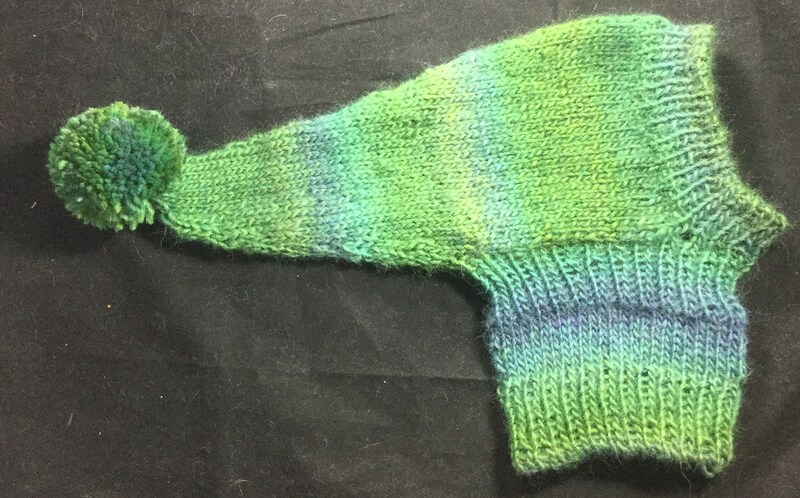 The color is named Reef and is a subtle ombré of shades of greens. 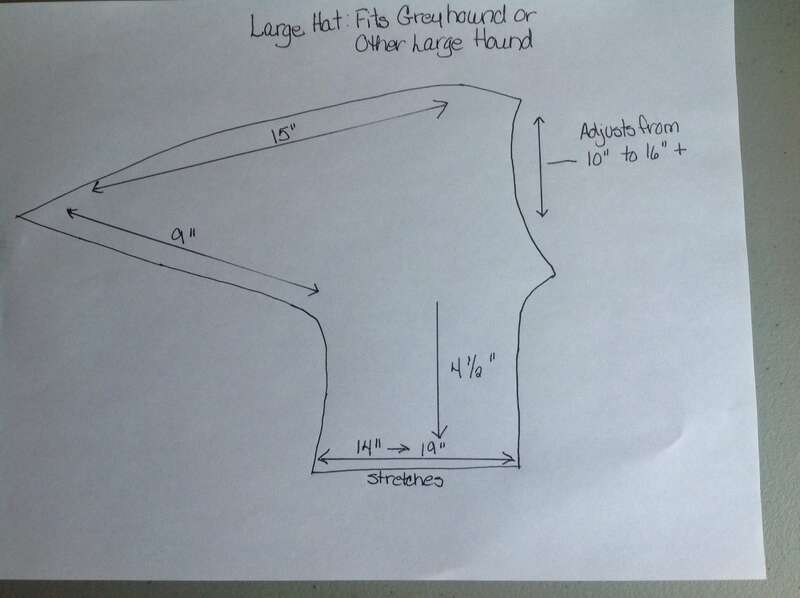 The model is Jenny, a large female greyhound weighing about 67 pounds. 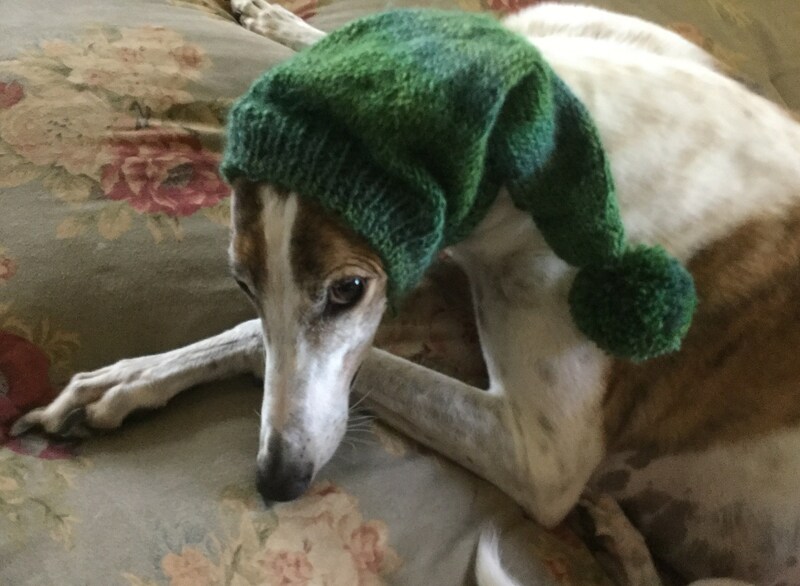 Her head circumference is 15".